The Tattoo, She is Complete! yes, after about 10 hours of non-continuous work, and $1020 in hard earned cash pumped into my arm, its finally done. if you are wondering why i would get this, watch the discovery channel once in awhile, the whale always wins IRL. 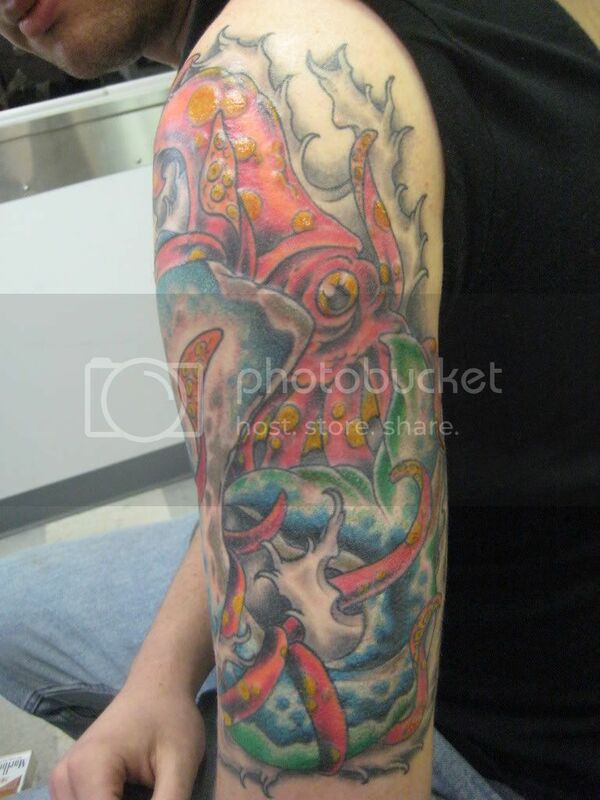 but in this one it is being defeated by the squid, symbolizing overcoming great adversity. ahh the front view made it, now I see the whale. 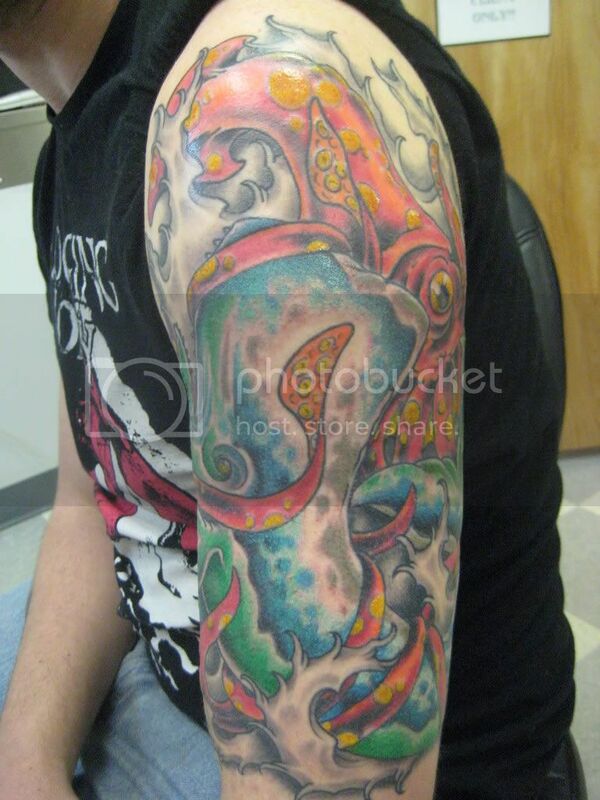 I'm definately not into tatoos, and will most likely never get one. 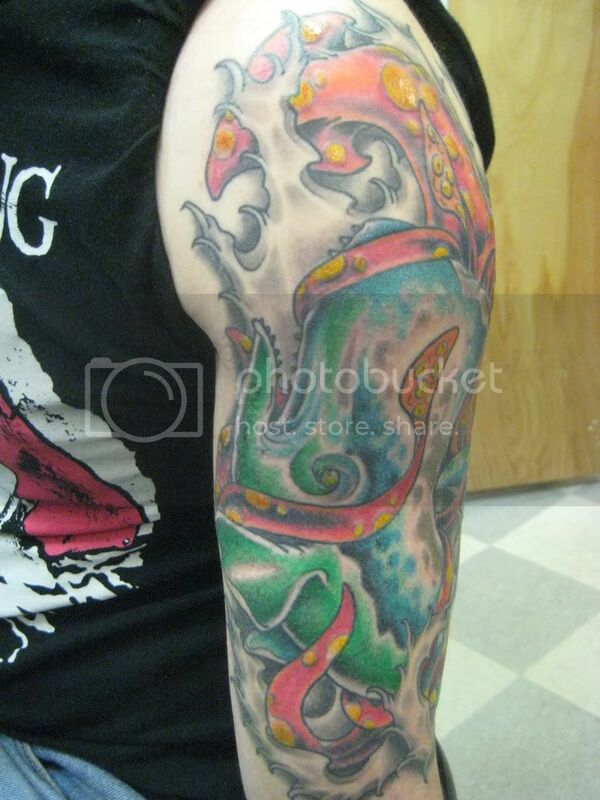 But that one is really nice, I like the colors. Uppity whale finally getting what he deserves. A thousand bucks on that?!? !